Choices for both the old-school and the adventurous. That’s what the Husband told a kid sitting on a bench outside the ice cream parlor as we made our way inside. The kid was already covered from nose to chin in blue drips (the Superman flavor, would be my guess). They came inside later and his mom told us that clearly we had given their family a new catch-phrase, since she had now heard it about 20 times in the last 10 minutes. 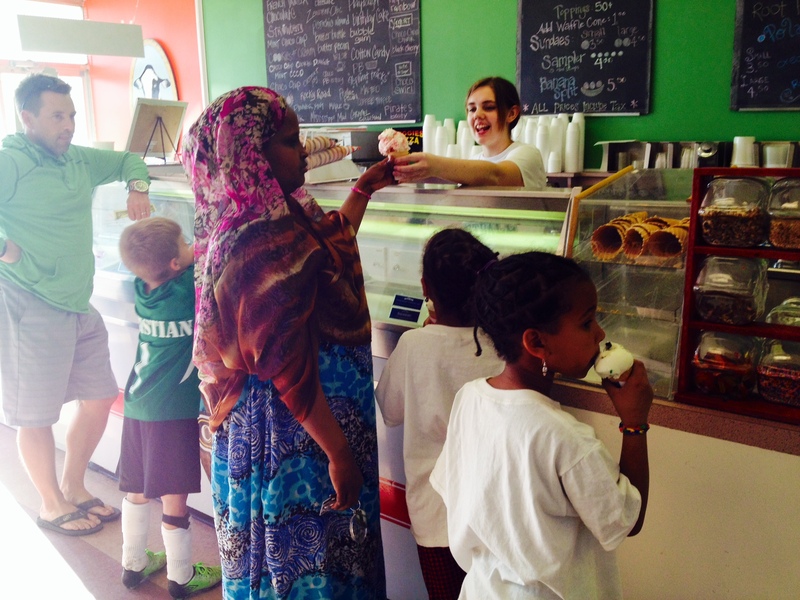 Always on the lookout for easy, jump-on-the-bike-and-go outings, we ventured away from the Dairy Queen just a few blocks from our house and headed to a quiet corner of Edina, Minnesota to grab a cone at The Neighborhood Ice Cream Shoppe. Any place that spells “shop” with two p’s and an e is suspect, but when ice cream is involved, I’m willing to overlook it. While the Twin Cities is full of amazing ice cream places (and Izzy’s will always be my go-to for when I want the exceptional) sometimes you just need the basics, with prices to match. Sandwiched between a Pappagallo store (?) and a dry cleaner, this ice cream shop has a surprisingly large selection of Cedar Crest ice cream, a few frozen yogurts and sorbets and sherbets. They also have pint-size tables and chairs, benches outside and a fast-moving line—perfect for the neighborhood families who stop in after dinner or on their way home from sports practices. Oddly and yet kid of awesomely, you can also get Heggie’s pizza here, so really, a cheaper date night could not be had anywhere else. 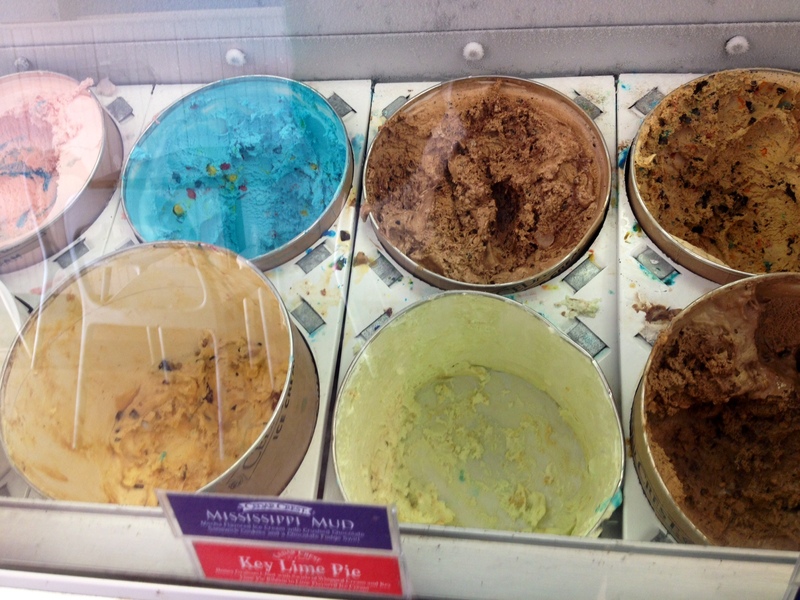 You’d be hard-pressed to spend more than $3 for a cone, as the single scoop is quite generous. I got a single kiddie cone for $2 and it was plenty. I LOVE places that allow adults to order the kid size. It’s also located on a road that has a dedicated bike lane, so you can off-set the calories with your travel. Perfect combination, in my book. 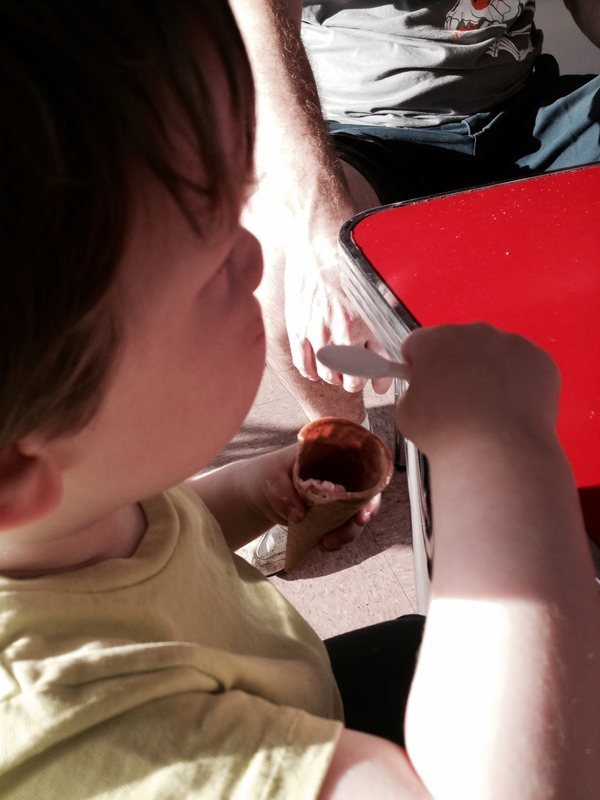 The secret to toddler-ice-cream-cone success? The sample spoon!